Download Gapps 8.0 for Android Oreo 8.0 flashable zip file and other also for other roms also i.e lineageos 15 rom, resurrection remix 8.0 oreo. Full form of Gapps is Google Apps so by the name you can understand Gapps are Gmail, Google+, Google Drive, Google Market/Playstore, Google Musics, Google Docs, Goole Earth, Google Search, Youtube, and etc etc. By the way all these apps are pre-installed on every mobile so you don’t have to download it from anywhere. 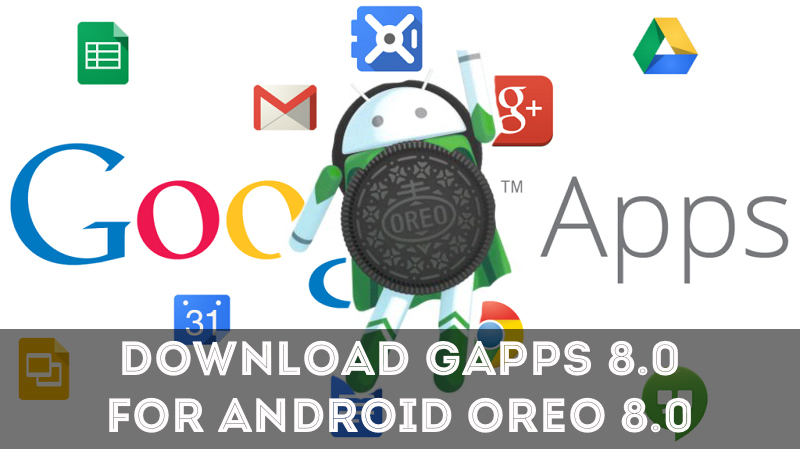 But if you will install any custom lineage os 15 or ASOP based on latest android version android oreo then you have download gapps 8.0 to get google apps for android oreo. But that doesn’t mean that you can’t get if you install custom rom you can download Gapps from Internet and you easily flash it in your device simple. So as from title you can understand that today we are giving you the download link and info of Gapps from oreo 8.0/Lineageos 15.0. This will only work for oreo 8.0 Rom that’s mean you can’t use it with any other version of Android / Custom Rom. There are different Gapps available for different Custom ROM. If you don’t know how to find your architecture you can find it by using Cpuz App . Which Gapps I install on Lineage os 15 ?